Hi guys! 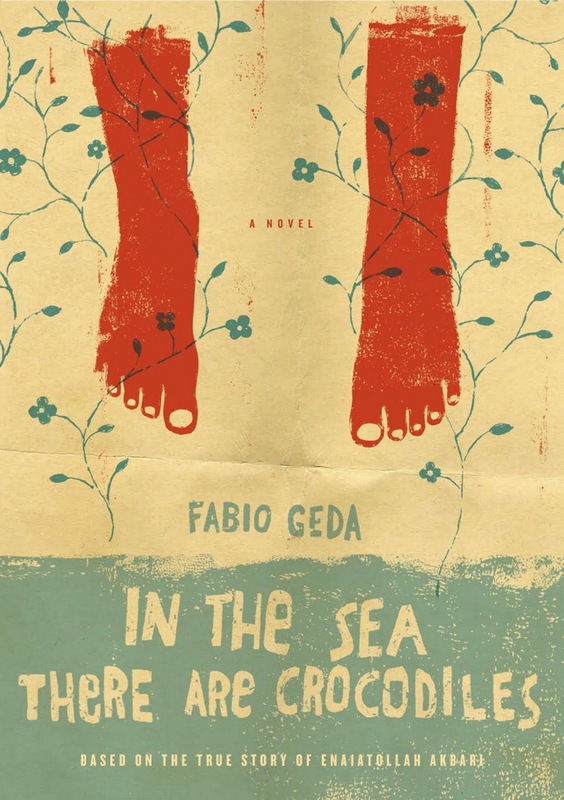 Here is my review for In The Sea There Are Crocodiles by Fabio Geda! Hope you like it! Enaiatollah has been dropped off and left by his mother in Pakistan to fend for himself after his home country, Afghanistan, falls under Taliban rule – even though he is just ten years old. He is trying to find a home, and a place to work and earn money or shelter. He is not happy in Pakistan tough, so here starts his journey to find a good home, and stay safe. In a hard struggle through five years of rough journeys, Enaiat suffers through perilous conditions and difficult times, but he does make it through. Fabio Geda really does an amazing job at capturing a story perfectly that helps you realize how fortunate you are. This book was pretty amazing. The amount description was awesome, the cover is very cool, and Geda definitely did do a great job telling the story like it was through Enaiatollah’s eyes. The struggles he goes through are insane to us, but entirely realistic for other people living in different places. It was a very sad, and heartfelt book. I think it will make people aware of struggles that happen all over the world, and just how much people have to go through to get away from bad places. This book will DEFINITELY make you realize how fortunate you are, and it was a very enjoyable book. Did you like that review? Share your thoughts and comment! My next review will be Island Of Fire (The Unwanteds book 3) by Lisa McMann (ARC!) and I will have an In My mailbox post sometime this week. I really like the journey you took in this book. It really made you think about the plight of many in countries less fortunate than ours. Thank you for sharing! This looks like a real eye-opener, Xander. Thanks for the review!